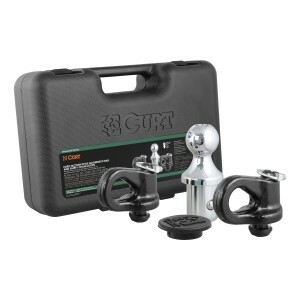 Outfitting your Ford pickup to tow a heavy-duty flatbed or livestock trailer is easy with the CURT factory-style gooseneck ball and safety chain anchor kit. In addition to the original-equipment-compatible gooseneck hitches that we carry to easily install on your truck, CURT offers the necessary gooseneck accessories to complement the towing prep package—all available in a convenient kit. The factory-style gooseneck kit includes a Ford-specific gooseneck ball. This gooseneck fits perfectly into the Ford factory-style gooseneck hitch, and it provides a 2-5/16″ diameter to fit most standard gooseneck trailers. The factory-style ball also comes with a patent-pending installation system, operating with a simple quarter-turn latch lock for ease of use and a secure mount. It features a gross trailer weight capacity up to 30,000 lbs. and a vertical load limit of 7,500 lbs. Hypertech’s 742502 Speedometer Calibrator for 2015 Ford F-150 can correct the speedometer and odometer for tires up to 54″ (depending on the application) and/or non-stock rear gear ratios. This new device is engineered for consumers who want the speedometer recalibration functions of the Max Energy Programmer without the additional expense of the other tuning features. The Speedometer Calibrator comes with a USB cable and a CD with software to enable quick updates and upgrades over the Internet. 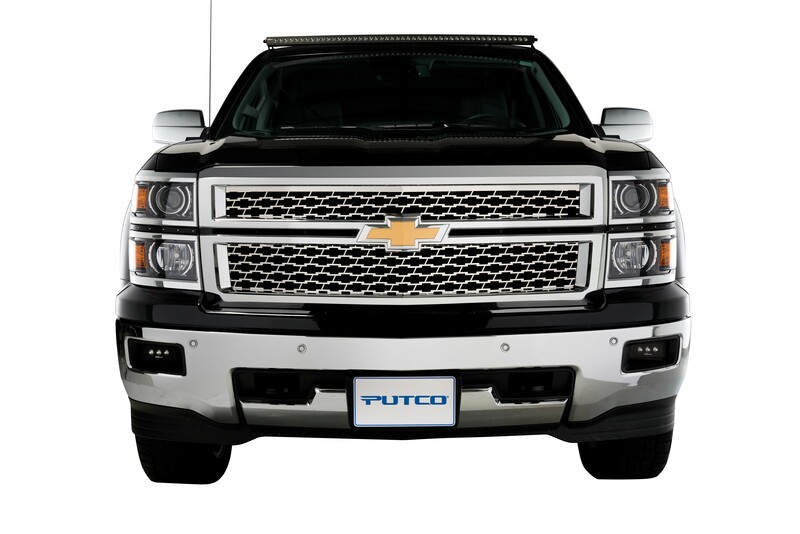 LED Grilles by Rigid Industries presents the new 2015 GMC Canyon Grille, with an RDS-Series 30’’ Hybrid Spot Optics LED Light Bar and a novelty Rigid Industries grille emblem. 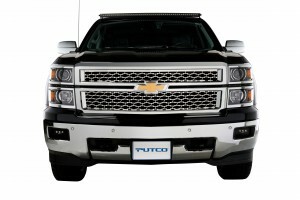 This two-piece grille is made from laser-cut 304 stainless steel and is assembled using stainless steel button socket head bolts and nyloc nuts—no welds. It features a high-quality black powder-coated finish. Installation requires modification to your OEM grille shell. We recommend professional installation. All hardware and instructions come with the kit. 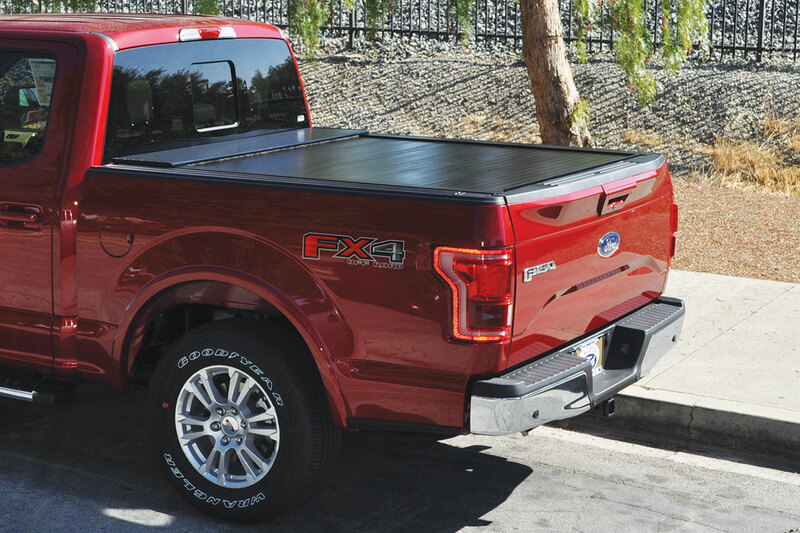 The RollBAK for the 2015 Ford F-150 with 5’6″ (R15327) or 6’6″ (R15329) beds is constructed with a series of 1/2″ thick aluminum slats interlinked to provide an exceptionally rigid surface that will stand up to heavy use. 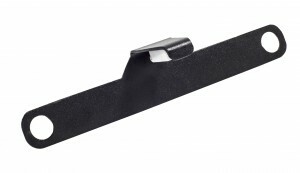 This interlocking system easily glides along Teflon rails and can be locked into place at multiple positions. When fully retracted, the system neatly stows into a space-saving canister in the truck bed, and can pull out quickly and easily using the included strap. Air Lift’s 88339 LoadLifter 5000 Ultimate adjustable air spring kit for 2011-2015 Chevy/GMC C/K 3500 features all of the benefits of their heaviest-rated air springs, with the addition of an internal, closed-cell urethane foam jounce bumper that provides a cushion of air that absorbs shock, eliminates harsh jarring on rough roads, and protects vehicles carrying heavy loads. Never bottom out again with the Ultimate! Air springs are built like a tire and are reinforced with durable, two-ply fabric for maximum strength. Exclusive upper and lower roll plates protect the springs from sharp edges, such as brackets or the frame, and help increase load capacity up to 10%. Are you looking to separate your Wrangler from the rest? Rugged Ridge’s 12034.1 Spartan Grille for 2007-2015 Jeep Wrangler JK offers extreme versatility, with interchangeable inserts to match your personal style and give your Jeep a custom off-road look. Each injection-molded grille is paintable and comes ready to accommodate Rugged Ridge’s new steel mesh inserts. Ranging from mild to wild, the inserts allow you to further customize your Jeep’s exterior. 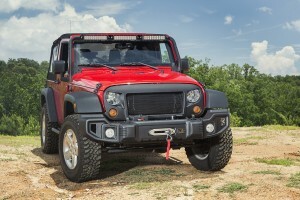 In addition to its dramatic styling, the Spartan Grille features a larger opening that provides the engine compartment with better air flow and cooling—especially important during low-speed off-road crawling when engine temperatures can rise. 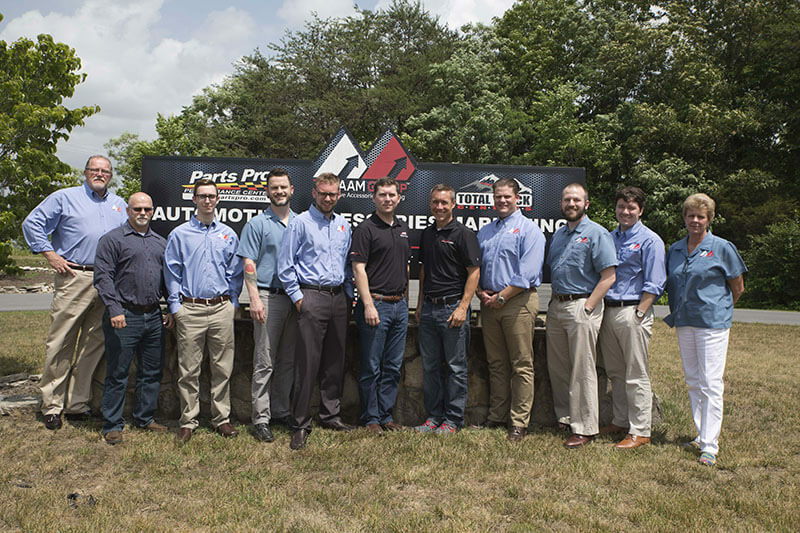 Total Truck Centers and The AAM Group yesterday hosted sales and marketing leaders from two giants in the tuning industry: Powerteq’s Superchips and Edge Products. In the all-day collaboration, we discussed how Total Truck Centers’ marketing tools and services could help secure broader exposure for the companies’ leading-edge tuners. To give your vehicle a custom performance overhaul with an Edge or Superchips tuner, head on over to your local Total Truck Centers retailer, or find a local affiliated store using our dealer locator. If you are a truck aftermarket accessory retailer who would like to become part of the nationwide Total Truck Centers network, please join us today! Whether you’re looking to get more organized and keep your stuff from sliding around, or you’re the type who just wants an easy spot to hide all your garbage, the durable Husky Liners GearBox® keeps you looking clean and organized. 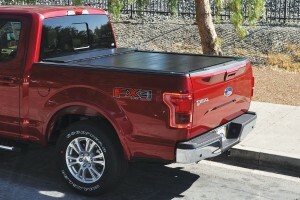 The GearBox is designed to fit under the rear seat of your truck. It’s designed to fit your vehicle with or without your Husky Liners mats in place and takes only a few minutes to install. <p>Whether you&#8217;re looking to get more organized and keep your stuff from sliding around, or you&#8217;re the type who just wants an easy spot to hide all your garbage, the durable Husky Liners GearBox® keeps you looking clean and organized. Armed with the knowledge that a rear license plate light is required in all 50 states, and that quality options at a reasonable price were not available, ICI Engineer Kyle Dahlquist developed the Magnum universal LED license plate light to address customer requests. The Magnum universal license plate light installs quickly and easily, can be used with any standard license plate mount, and works with any replacement or stock bumper. The mount is made from steel, which is powder coated to prevent corrosion. Its bright LED light has been tested in mud, rain, and snow, so unlike similar lights that will not work after getting wet, this LED can handle the toughest off-road trails!